Dedicated to helping you find solutions to your legal problems. Representing businesses in a wide range of matters such as initial startup,reviewing and drafting contracts as well as court litigation. Representing landlords and tenants in commercial leasing matters. Drafting and reviewing leases as well as litigating lease rights and obligations. Representing contractors and subcontractors engaged in construction litigation. Experienced in litigating mechanics liens. Florida Supreme Court Certified Circuit Civil Mediator known for her no nonsense creative approaches to resolving civil disputes. As a business litigation lawyer, Natly represents clients in complex commercial and business matters in both state and federal courts. She assists her clients in all phases of litigation whether it is by filing lawsuits, defending, trying or settling cases. She also counsels clients with respect to federal, state and local statutes related to complex healthcare, corporate, contract, and some employment and labor issues. Her clients are as diverse as the business issues they encounter. As a result, she enjoys getting to know her client’s business whether that client is a bank, a doctor, a nursing home, a general contractor or a local small business owner. Natly began her practice as a business and commercial litigation associate with a firm in Fort Myers, Florida, over a decade ago, where she was a partner before relocating to Orlando. 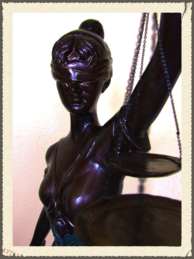 Natly is a Florida Supreme Court Certified Circuit Civil Mediator. Businesses rely on lawyers for many things, however, the cost of obtaining personal one- on- one legal advice can sometimes be costly and is rarely budgeted for, until now. At Torres Alvarado, P.A. we have a program specially geared towards our business clients. Our programs helps businesses like yours obtain the legal advice they need, when they need it, at a price they can they can budget for. By retaining Torres Alvarado, P.A. you will have your own business attorney, willing and able to meet with you as your outside general counsel so that you can protect and grow your business. Our programs begin at $300/month and can be structured to meet your specific needs. As with all of our services, we will provide a written agreement setting forth all of the services that will be rendered at the agreed upon flat fee. By clicking this box, I understand that the formation of an attorney-client relationship requires the consideration of many factors, including possible conflicts of interest. An attorney-client relationship is formed only when both you and Torres Alvarado, PA have signed an engagement letter describing the scope of our engagement. Information conveyed to us prior to the formation of an attorney client relationship may not be privileged nor confidential. DO NOT SEND CONFIDENTIAL INFORMATION THROUGH THIS SITE. COPYRIGHT © TORRES ALVARADO P.A. Attorney Advertising. This web site is designed for general information only. The information presented at this site should not be construed to be formal legal advice nor the formation of a lawyer/client relationship.